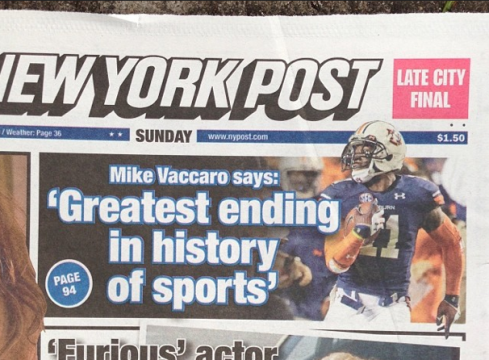 The cover of today’s New York Post just comes out with. We’re not we’re not alone! “Nobody rushes to judgment more than sports fans. We love what we just saw. We want to sanctify what just happened by giving it historical context, and as a result we jump to conclusions easily: THIS was the best Super Bowl ever. THIS was the greatest Final Four of all time. Mostly, given time to digest it all, we sheepishly come around to the fact that maybe we got a little carried away. You can read those reasons here. 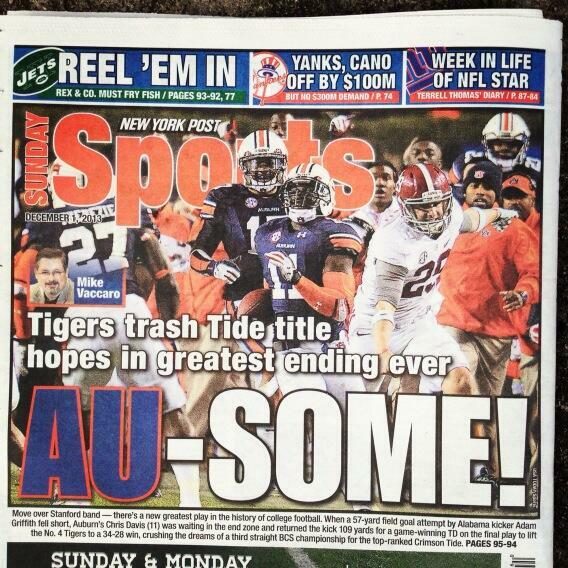 Related: Bama fans at a Bama Fever store in a mall react to Auburn winning the Iron Bowl.